You’re going to LOVE Olivia. 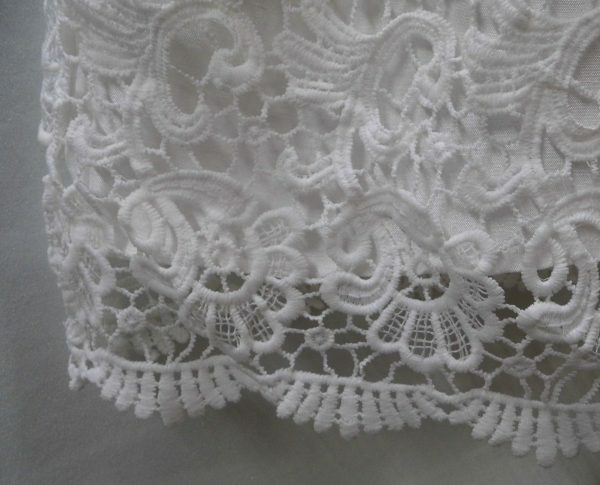 The lace and shantung are exquisite! 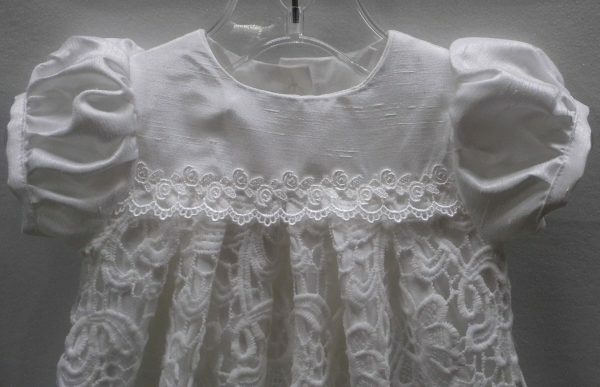 If you liked Evangelina or Sophia (sold out!) you will fall in love with Olivia. Exquisite! 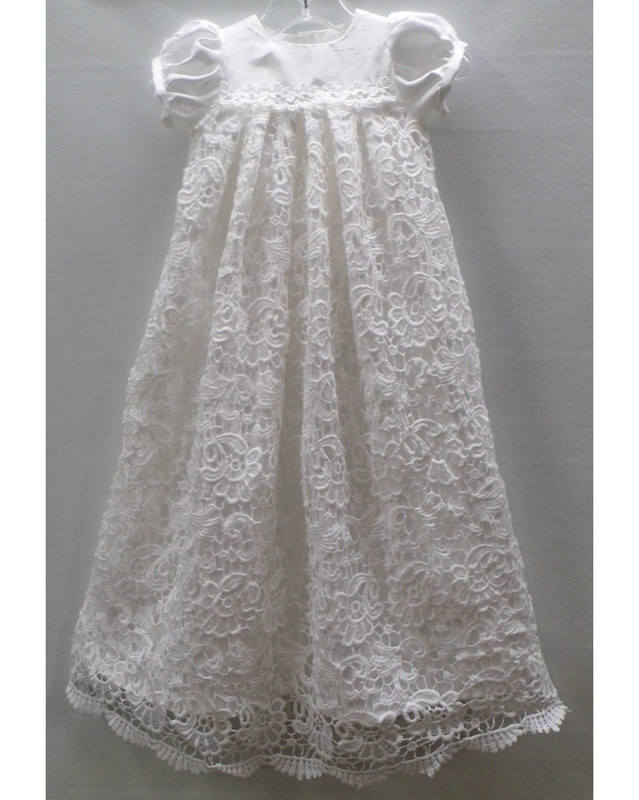 The light weight shantung skirt is covered in beautiful cotton Venice lace. The high yolk is also adorned with beautiful Venice lace. 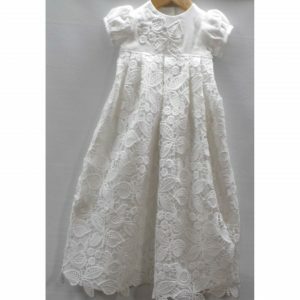 This gown has short puffed sleeves and buttons in the back. This is a 28 inch long gown. 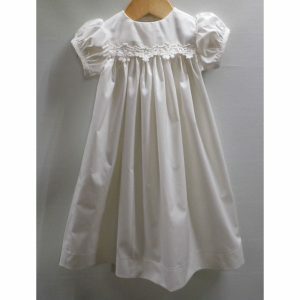 If your little one is walking we can shorten this gown to what ever length you need. 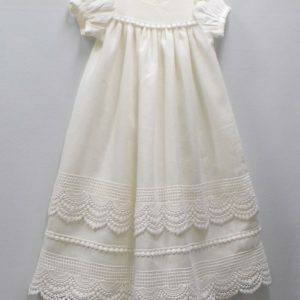 Because all our gowns are handmade we can change the fabric, or sleeve, etc. 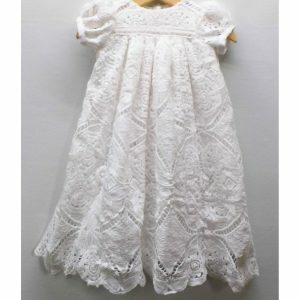 Please choose a size that corresponds with the age your little one will be at the time of their event. Our sizing is very true to age. You can also send a chest measurement, weight and age for a perfect fit. I usually ship priority mail within 3 business days of receiving an order.